With Monday off for Veterans’ Day, we’re looking at two more days of teaching before we are Houston-bound! Can’t wait to catch up, NCTE peeps, and to meet new folks too. Join us for this important conversation–bring your ideas so we can learn from you. 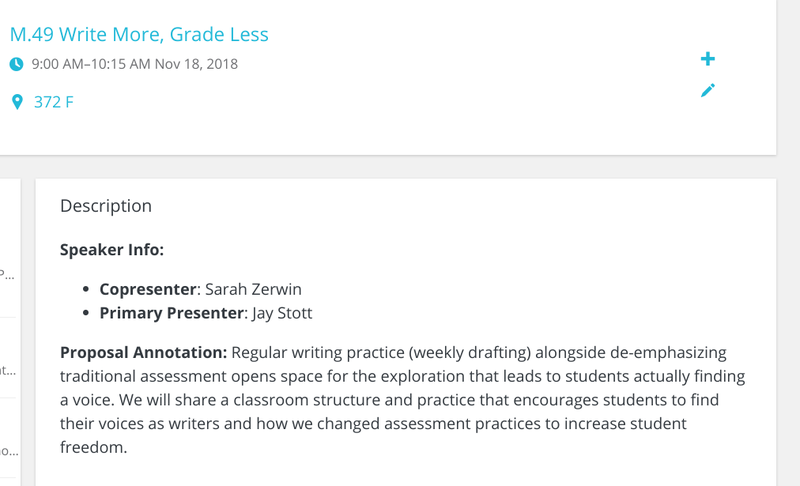 This entry was posted in #DisruptGrading, #NCTE18, #StopGrading, motivating students, not grading, on the road again, presenting, teaching writing, workshop teaching, writing. Bookmark the permalink.